Summer Vacation Starts on Friday! This is true. As of Friday, I will be doing my last two tutoring sessions, scanning the documents into my computer as my backup, and dropping the paperwork into the mail. To get paid at some future time period. This has been a huge issue for me, trying to determine exactly when my tutoring will end. 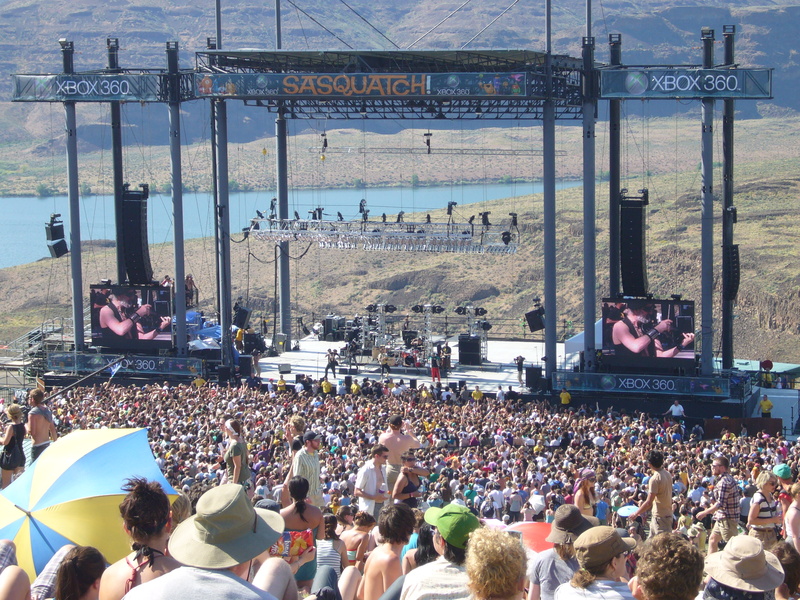 I have until May 31st to get it all complete, but my intention was to get it done early so that I can go to one of my favorite events: Sasquatch! Music Festival. It starts on Saturday, and runs through Monday of Memorial Day, one of the reasons it is such a great festival — working a full time day job, there is no reason you need to take any time off to attend this festival. How awesome is that? That’s a well planned fest. So, the last few days (after I actually plotted when I was meeting with my students and for how long to get everything complete on Friday) has had me on websites and phone, talking with Ticketmaster to find out is the event actually sold out, or will more tickets be released at a higher price range as of today as the Sasquatch website still states? Finally I spoke with someone today who gave me a definitive answer of no more tickets to be sold. So on to Craigslist. I will be driving through Portland to make it to quaint little Quincy (or George,) Washington at the beautiful Gorge Amphitheatre where the festival is held, so I figured anyone wanting to sell their tickets, Portland would be a good place to meet. 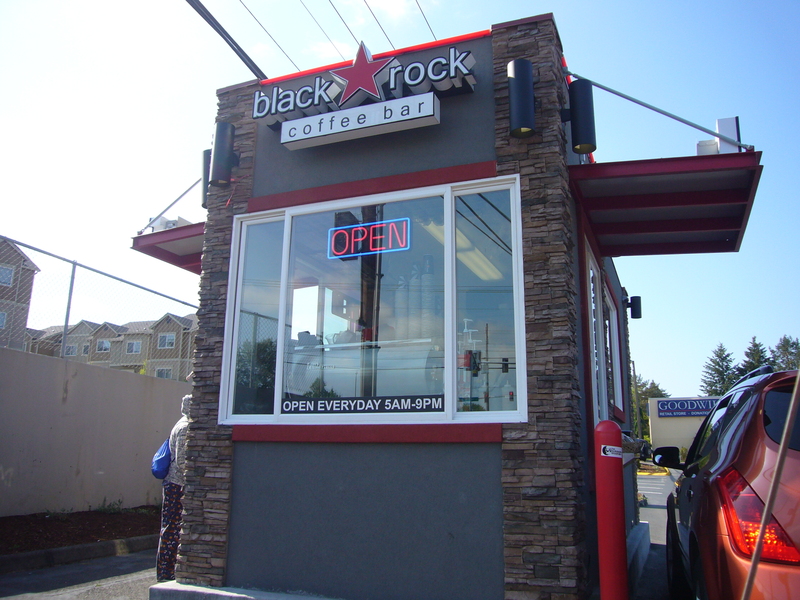 I have to stop to pick up a pound of fresh Stumptown Coffee anyway, and get some Black Rock coffee at their cute little drive through huts. Yummy coffee all around in Portland. So much to look forward to, old haunts and new, and so little time. For the festival actually starts at noon on Saturday, and leaving at 7 pm on Friday, the earliest I can leave Los Angeles, there is no way I can make it there in time. A favorite band takes the stage at about 8 Saturday night, I hope to make it by then. If that means just driving straight in, parking, and then sprinting to the gates to get in, that is what I will be doing. No time to set up camp, no time to do much of anything. I can always sleep in the car the first night, my default for bad weather or sheer laziness. Set up my tent in the morning with day light. I now have a ticket arranged to pick up (cash only!) in Eugene at the U of O campus, hopefully can make it there by noon on Saturday, then to Portland for groceries and coffee, and then on to Quincy, WA. I just posted an ad on Craigslist asking if anyone wants to rideshare up to Portland or Eugene or anywhere along I-5, to help cut down on my gas costs. Hopefully will hear responses closer to the weekend. Just bought the camping pass at Sasquatch so I have a place to lay my head at night. And have made arrangements to visit my college roommate the day after the festival ends, up in Pullman, WA. Then it is on to Montana, to see the folks and have very serious talks about money, loans, retirement housing and other things that are best done in person. Woo-hoo! The weekend is almost here! I just have class tonight, work every day, packing, cleaning and making arrangements for things I will not be available to do while I am gone. So much to do. And super excited to do it all. Now it is time to go find my bathing suit, as my former roommate told me they have a hot tub and to please feel free to enjoy. Hot tub! What fun! Where is that bathing suit? Camping gear? Mobile electronics? Charged up batteries? And what clothes to take? All to be found or not, decided or not. In the end, I just go, regardless of optimal organization or not.